2017 brought us a bumper crop on the estate, resulting in good quality fruit and high yields. 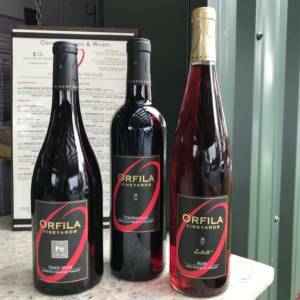 This, in conjunction with a lot of purchased fruit, resulted in the biggest production season in Orfila history. 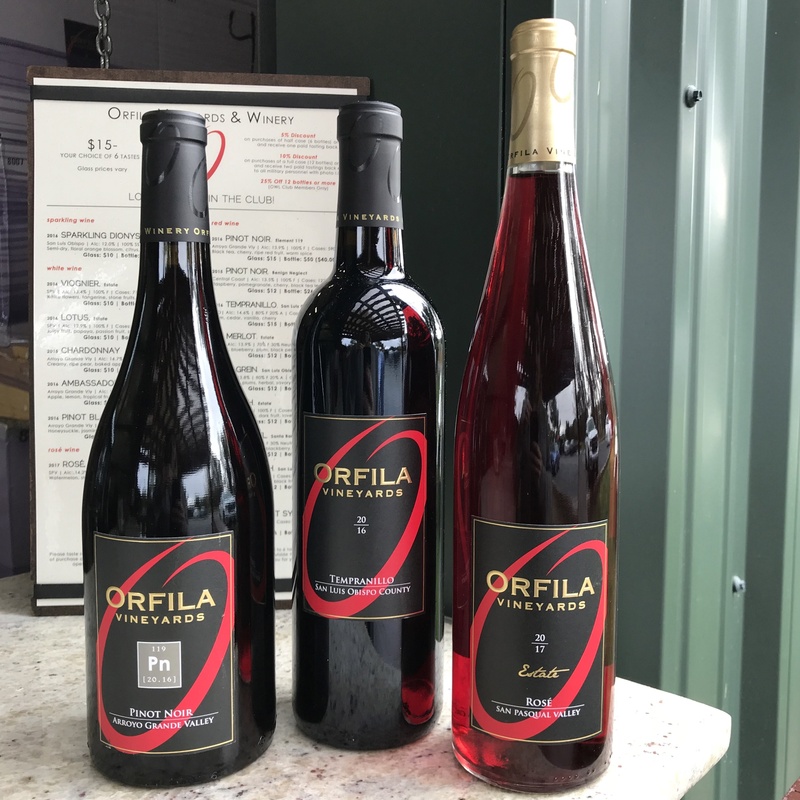 We are producing all of our usual varietals, with the addition of Grenache from Dry Creek Valley in Sonoma, Mourvèdre and Barbera from Temecula, and Carignan from Pauma Valley. We bottled 8,787 cases of wine in February, including two 2017 Rosés, and 2016 Reds. We have two Rosés, the first is our Estate Rosé, a blend of Merlot, Syrah, Montepulciano and Sangiovese. With its bright and deep pink color and sweet fruity flavor, it is certain to be a big hit when released this spring. The second Rosé is lighter pink, semi-dry, with tart cherry flavor the California Rosé is a blend of Barbera, Pinot Noir, and Lagrein. The 2016 Red Wines include four different Pinot Noirs, Element 119, Sequestered, Benign Neglect and our first ever 2016 Pinot Noir Oregon. 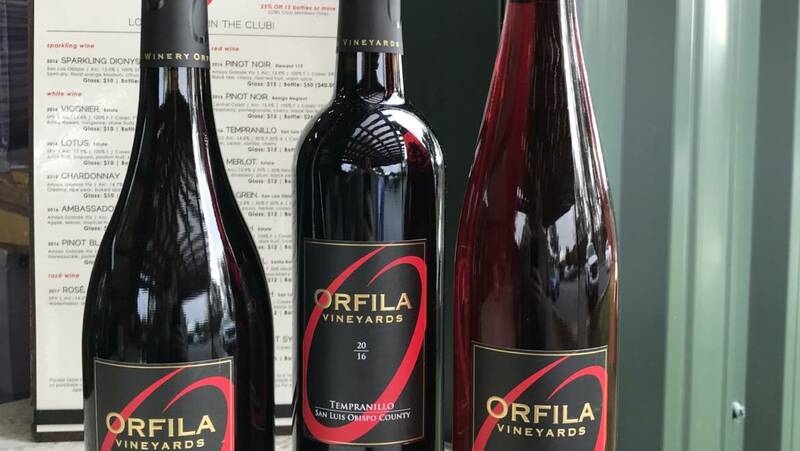 This Oregon Pinot is big and chunky on the palate, and features a deep red color. The deeper color was developed using the Saignée method. This method involves bleeding off 10% of the juice during fermentation, creating a higher ratio of skin contact on the remaining juice, making the resulting red wine richer and bolder. 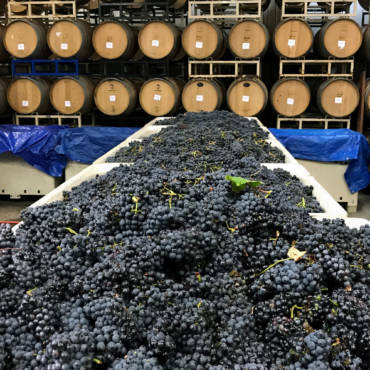 Nearly 3,000 cases of 2016 Estate wines will be bottled this week; Syrah, Petite Sirah, Merlot, Montepulciano, Sangiovese, Cabernet Sauvignon, and Full Fathom Five. Rounding out the 2016 Reds are 930 cases of Legrein and Tempranillo from San Luis Obispo. While we are nearing the production mark of 20,000 cases, we are also venturing off into new business opportunities. This rapid production expansion is required to satisfy the needs of the OWL Club and to support our new tasting room by the beach, to be opened later this year.